Don’t forget that you can start redeeming those big digital coupons. 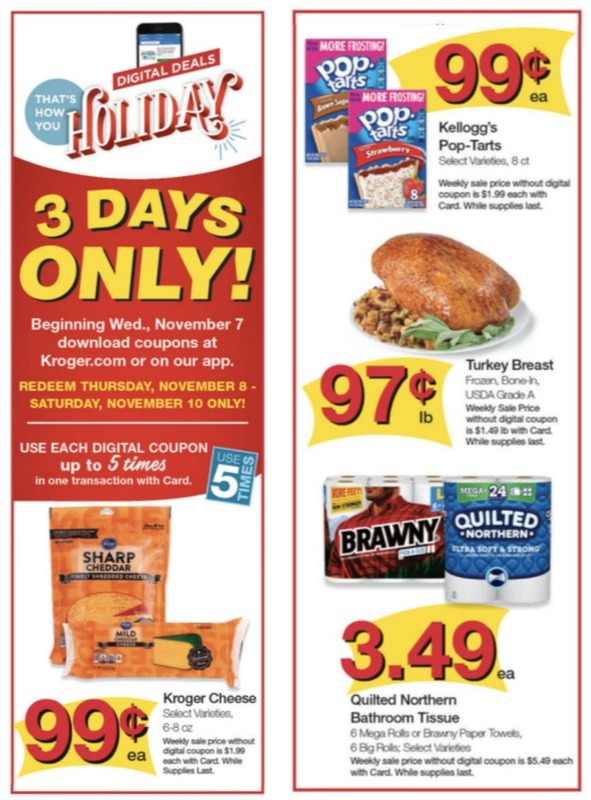 You can get the following deals now through Saturday, November 10th. Pick up your favorites while you can! Previous Post: « Hungry Jack Mashed Potatoes Only $1.29 At Kroger – Over Half Off!